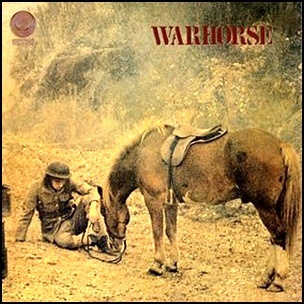 In October 1970, “Vertigo” label released the debut, self-titled Warhorse album. It was recorded in 1970, and was produced by Ashley Holt, Ged Peck, Mac Poole, Nick Simper, Ian Kimmet and Frank Wilson. All tracks by Ashley Holt, Ged Peck, Mac Poole, Nick Simper and Frank Wilson, except where noted.